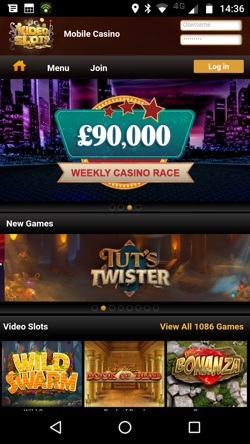 Videoslots is a multi-platform online casino that has been providing a first class product since 2011. By focussing on one specific area of the online gambling industry they have been able to zero in on what their customer base really wants and then deliver it with aplomb. Still wondering what that ‘specific area of the online gambling industry’ might be? Have another quick look at the name. The main selling point for slots enthusiasts is the sheer number of games available, currently standing at over 2500; even the most fanatical of slots players would struggle to chew through that lot. No corners are cut elsewhere, though, with the Roulette, Blackjack, Video Poker and Scratch Card sections all well stocked, and let’s not forget the 60+ Jackpots, 5 of which boast 7 figure pay outs at the time of writing. The site may, admittedly, have one foot firmly placed in the last decade, but this is mostly aesthetic, since the loading speeds and mechanics are up to the standard you would expect. What’s more, Videoslots is one of the most trusted and transparent casinos we have ever come across, they even invite players to visit their offices and say hello; so, next time you’re in Malta and fancy a cuppa you know where to go. We will start by saying that we have never seen a wider selection of software providers on any other site. All of the big guns are on show with Microgaming leading the charge, backed up by NetEnt, IGT, NextGen, Play’N Go, Yggdrasil and Thunderkick. Leaving no stone unturned, they also host a choice selection of quality games from more obscure providers such as Magic Dreams, GamesLab and Bla Bla Bla Studios. The seemingly infinite number of titles, including some exclusives, could actually be to the sites detriment if the game selection process was clumsily handled. Luckily, Videoslots have this nailed. 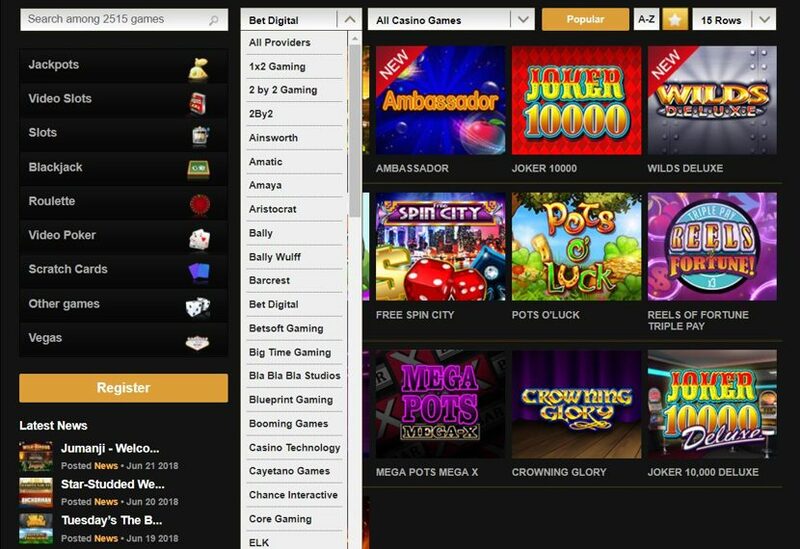 You can search by provider plus a myriad of other categorisations, including the obvious options like New Games, Featured, Jackpot etc; or take a more targeted approach and search for Branded Games, 3/5 Reel, Stacked Wilds etc. There is also a search box if you are looking for a particular favourite of yours. As is the norm these days the whole casino is instant play, and the interface is mostly well constructed and easy to use, despite needing a bit of a spring clean to dust off the slightly antiquated feeling in our opinion. 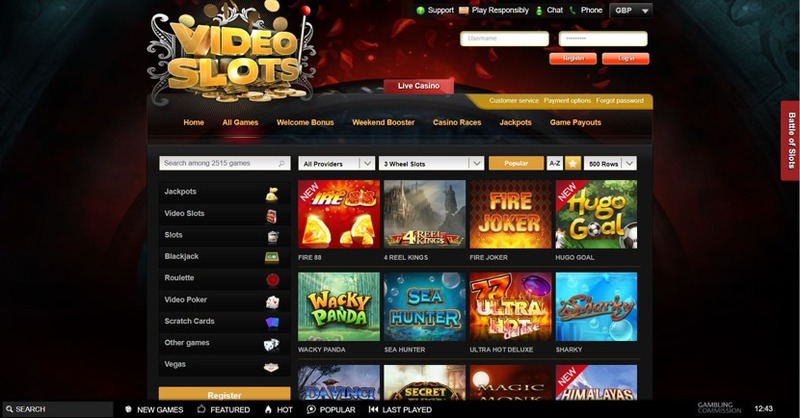 Slots – If you can’t find the game you want at Videoslots chances are it doesn’t exist. Try a featured title like Electric Sam or go for a brand name like Game of Thrones – but be warned, when you play the Game of Thrones you either spin, or you die (we came up with that ourselves). Jackpots – iSoftBet win the award for most jackpot games at Videoslots, with Lucky Clover and Jackpot Rangler being a couple of good options, but there are 60+ in total, with plenty of mouth watering pay outs on offer. Video Poker – Among the 28 choices are Deuces Wild, Jacks or Better and Double Joker Poker – which rhymes. Blackjack – Travel the globe with Spanish, Vegas Strip, Caribbean Stud and almost 50 other Blackjack variations. Roulette – Oo la la! French Roulette makes up a third of the 14 different variations available here. Live Casino – NetEnt provides the Live Casino so you will be treated to Live Roulette and Blackjack with HD quality visuals and perfect audio, plus, minimums and maximums are available to suit every players pocket. Instant Win – If you fancy something a little simpler, try Offside and Seek or Foamy Fortunes or one of the other 36 scratch cards. This is all positive stuff, but on the downside the site is a little cluttered and something of an assault on the senses when it first loads up – we weren’t sure where to look. Some of the icons and task bars could probably be amalgamated or done away with entirely, but saying that, everything has its place, and it isn’t so garish that it becomes irksome. Regardless, it’s a small price to pay for what you get back in terms of game quality, game volume and customer service. 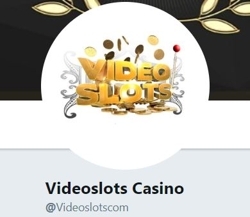 Videoslots are making something of a name for themselves by coming up with new and interesting ways to help, reward and entertain their players. ‘Battle of the Slots’ is a fun competition that can be played against friends or strangers in which you compete to win the most points on a specific slot. There is a buy in cost which gets you an allocated number of spins with which to score points. The person with the most points at the end takes the prize. ‘My RTP’ is new as of 2018 and allows players to monitor their RTP based on their betting history rather than relying on the RTP of each individual game. You can check your hit rate, number of spins, your own RTP compared to a game’s theoretical RTP and more. No one else is doing this and it speaks volumes for the sort of company Videoslots want to be. The ‘Weekend Booster’ rewards players for their activity at the site with real money prizes that don’t come with any wagering requirements. It’s an effort to reward all players on balance rather than only rewarding high rollers, and again, it shows a casino that values everyone that plays there no matter their budget. The mobile site is a much less cluttered affair than the desktop site, probably by necessity rather than design, but this has the added benefit of feeling more contemporary as well. That doesn’t mean that it’s perfect, but it’s certainly serviceable. Games play smoothly, but we were disappointed with how long it took to get from one page to another, although with more than 1000 games available perhaps this is forgivable. This is a considerably smaller number than the desktop site offers it’s true, but it’s still unquestionably a mammoth catalogue to wade through. The Live Casino isn’t accessible via mobile and neither are some of the unique features like Battle of the Slots, but we don’t want to sound too critical, as this is comparatively a very good mobile product. Perhaps developing an app could prompt a re-think where necessary. Based in Malta like so many others, Videoslots was born out of the experience and determination of a group of Swedish gaming enthusiasts who decided to create the kind of casino they would want to play at themselves. In 2011 Videoslots officially opened for business, and it was all about integrity and quality from the get go. 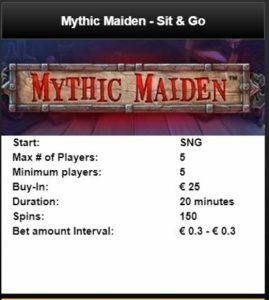 Starting as they meant to go on, the very first slot that went live was a NetEnt product, and an army of other superb providers soon followed. A world beating portfolio was the aim and world beating portfolio was built, with regular activity in the forums giving the casino reach and a reputation for being open, approachable and responsive. Innovation also plays a big role in their operation, with players able to set their own deposit limits, and features like Battle of the Slots further winning people over. This is truly an online casino by the players for the players, and the fact that it has won a whole host of Meister Awards year after year proves it. Yet another area of excellence for Videoslots. They really have tried to cater for everyone, and with one free withdrawal every day (and additional requests costing £2.50) you really can’t complain. *Withdrawal max = per month. *Deposit maximum = per day. The customer support goes a long way to explaining why Videoslots has garnered such support and respect from the online gambling community. There are scant complaints to be found and those that have been made have been handled professionally and courteously. 24/7 support is available in one form or another, and while the phone support is call back only, this does at least mean that when you get the call you can be sure you are their priority. They even operate an open door policy of sorts, inviting players to drop in for a personal tour of the office should anyone be so inclined. That’s service for you. Live Chat – Multi-lingual staff man the lines 24/7 and are a great help. Perhaps a little slow to respond at times, but you won’t be left wondering if they have gone on a break and forgotten about you. There is even a photo of your operator. Phone – Call back service. Fill in the form under the Support tab on the website. @videoslotcom – An active Twitter account with regular news and promotions.